Beijing’s unilateral announcement of new air routes in the Taiwan Strait isn’t about addressing congestion, as better alternatives exist. It’s about politics, and it puts air safety at risk. On Jan. 4, 2018, Beijing suddenly announced the activation of northbound flights on the M503 air route and of three extension routes (W121/W122/W123) without consulting Taipei. These routes are controversial, not only because of their location over the Taiwan Strait, where Beijing and Taipei have been conducting military air patrols, but also because they are adjacent to restricted flight zones and overlap with three airways (W2/W6/W8) between Taiwan proper and the outlying islands of Matsu and Kinmen. Prior to Beijing’s first attempt to activate M503 in 2015, practical considerations affecting aviation safety were the object of negotiations between the two sides, and an agreement on partial operations was reached. However, Beijing’s disregard of these past concerns raises questions about its intention to fulfil its commitment to ensuring aviation safety and is a clear demonstration of its “three warfares” approach to Taiwan. The “Three warfares” were promulgated by the Central Military Commission (CMC) in 2003. The concept emphasizes the “soft kill” of information and stresses strategic leverage provided by the mental effects of legal warfare, media warfare, and psychological warfare to manipulate the perceptions of targeted audiences. It is part of Beijing’s strategy to “attain strategic and political goals in peacetime and wartime.” In this specific case, Beijing does not want to communicate with, but intends to coerce, Taipei for political objectives, namely Taipei’s accepting the so-called “1992 consensus” before any dialogue between the two governments can resume. In its use of legal warfare, Beijing has used both international and domestic law to claim the legal high ground to secure its interests. All controversial air corridors fly over the high seas, and Beijing carefully planed these airways by avoiding direct contact with Kinmen and Matsu and Taiwan’s W2/W6/W8 corridors. The Shanghai Flight Information Region (FIR) also has full authority as approved by the Montreal-based International Civil Aviation Organization (ICAO), of which Taiwan is not a member. Beijing may thereby have created the impression that the new routes have sufficient legitimacy under international air regulations. As to its use of media warfare, Beijing influenced domestic and international public opinion to build support for its actions. On Jan. 4, China’s Taiwan Affairs Office (TAO) repeatedly proclaimed that M503 is an internal issue within the Shanghai FIR, and that Taiwan has no say in the matter. Furthermore, on Jan. 18, China Eastern and Xiamen Air announced the cancellation of 176 extra flights due to Taipei’s refusal to allow them during the upcoming Lunar New Year holiday, as those would involve using these controversial new routes. The Civil Aviation Admistration of China immediately condemned Taipei’s delay since the Lunar New Year is an important family event for communities on both sides of the Taiwan Strait. In the use of psychological warfare, Beijing has tried to undermine Taipei’s ability to resist by portraying itself as a thorough and considerate stakeholder while undermining public support for the Taiwanese government. On Jan. 31, the TAO issued statement saying it regretted Taipei’s “irrational reaction” to the new routes and the inconvenience it created for passengers travelling to Taiwan during the holiday. The government of Fujian Province, the closest Chinese territory to Taiwan, immediately adjusted ferry schedules between Keelung and Xiamen to accommodate the expected higher number of passengers. Regardless of how successful or well coordinated Beijing’s strategy is, if the Chinese authorities are so concerned with aviation safety and the interests of Taiwanese passengers during the upcoming holiday, then why do they refuse to have open dialogue to win consent, choosing instead to coerce Taipei? 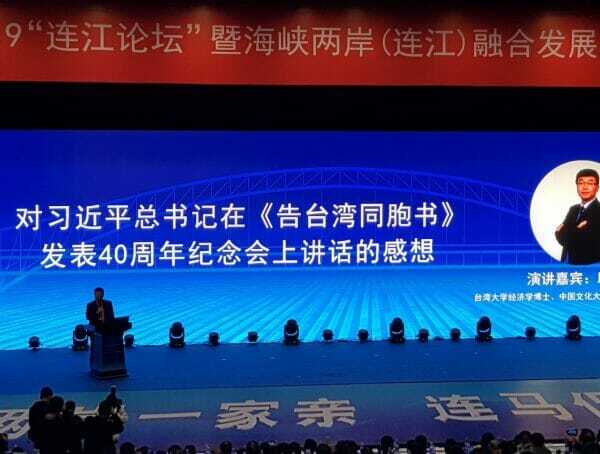 Beijing first had the idea of launching the new air routes in 2007, ostensibly to ease congestion in the A470 coastal corridor, and the plan was finalized in 2015. 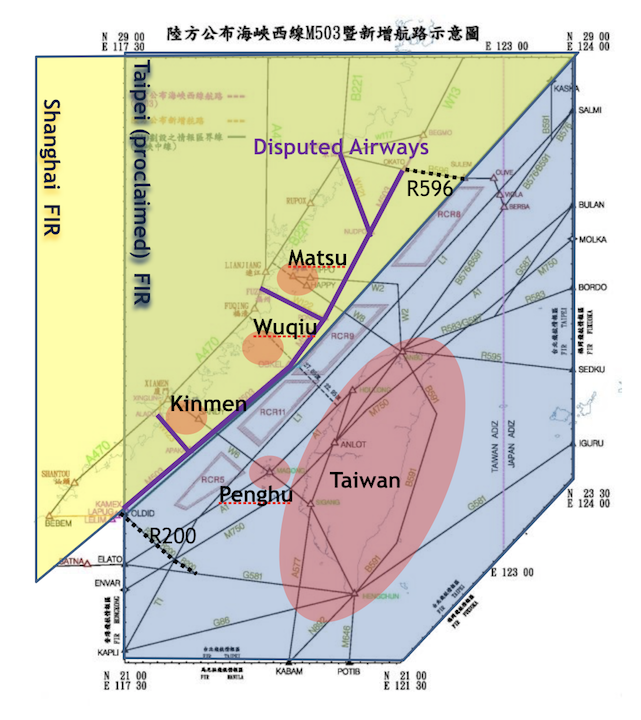 Although all the controversial air routes are located within the Shanghai FIR west of the median line in the Taiwan Strait, it is also important to note that territories controlled by Taipei, such as Matsu, Kinmen, and Wuqiu, along with their territorial waters and airspace, have been wrongly assigned to the Shanghai FIR by ICAO. This is an important point that has often been overlooked by the international community. ICAO’s decision has created a vast overlapping area between the Taipei FIR and the Shanghai FIR. 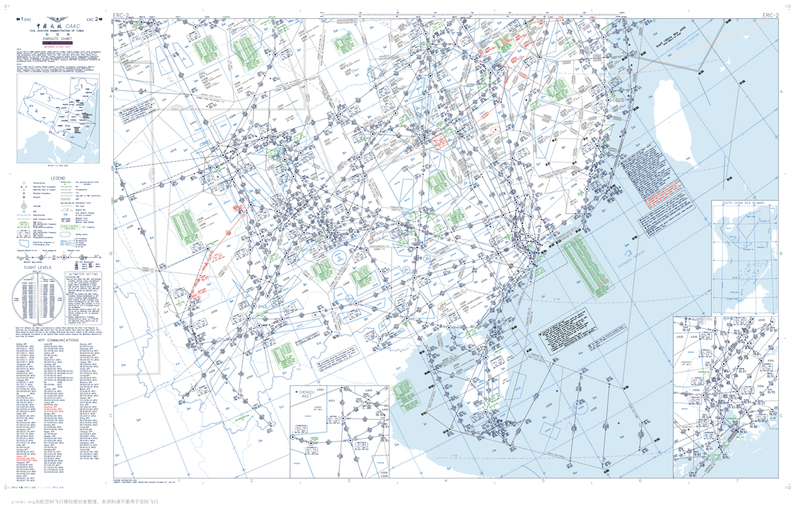 In fact, W2/W6/W8 are only displayed in flight charts published by Taipei, not Beijing, although they are seen by ICAO to be within the Shanghai FIR. Although all the controversial air routes are located within the Shanghai FIR west of the median line in the Taiwan Strait, it is also important to note that territories controlled by Taipei, such as Matsu, Kinmen, and Wuqiu, along with their territorial waters and airspace, have been wrongly assigned to the Shanghai FIR by ICAO. As Taipei has been excluded from ICAO, the international community failed to acknowledge that both inbound and outbound traffic from Matsu and Kinmen, while within the Shanghai FIR, are only under radio/radar control of Taipei Air Traffic Control (ATC). At this point, the risks of military activity endangering civilian transportation in the area are there, but as long as the density of civilian traffic remains insignificant and manageable, such dangers can arguably be mitigated. Moreover, the Cross Strait Air Transport Agreement signed in 2008 avoids increasing air traffic to the west of Taiwan, and only allows airliners to use R596 (in the north of Taiwan) and R200 (in the south of Taiwan) for passenger and cargo aircraft. Firstly, international aviation regulations require aircraft transiting FIRs to exchange flight identification information between ATCs. This is to ensure that the next ATC will have a full understanding of an aircraft’s intentions and destination. However, as ICAO and China do not recognize Taipei’s authority west of the median line, there are reasons to question how well flight information of aircraft on the M503/W121/W122/W123 routes is reported to Taipei. As there are four different aviation control authorities in this packed airspace zone — namely the Shanghai ATC, Taipei ATC, PLA Air Force, and Taiwan Air Force — with either partial or no communication between them, there is a high risk of accidents. Secondly, when dealing with an air emergency, the ATC in a FIR will coordinate with nearby aircraft to divert or delay landings or order them to leave the area. As M503/W121/W122/W123 are between Matsu/Kinman and Taiwan and overlap with W2/W6/W8, other than relying on emergency radio broadcasting, it is also questionable how these four aviation authorities supervised by Taipei and Beijing can effectively identify the other’s intentions while both sides obviously lack clarity/transparency of flight information and sufficient political trust for dialogue. As reported on Jan. 10, the Taipei ATC has been trying to obtain clarifications on the intention of uncoordinated/unagreed northbound traffic on the M503 route but has yet to receive a proper response from the Shanghai ATC. Finally, some people have made comparisons between the controversial airways and Taiwan’s W2/W6/W8 and L1 route in the area, adding that Beijing never protested over their implementation. However, aircraft on the L1 route are under full control of the Taipei ATC, with no overlapping with the Shanghai FIR. The W2/W6/W8 routes, meanwhile, directly connect Taiwan proper with Matsu and Kinmen. The key problem here is that ICAO has allowed the expansion of the Shanghai FIR to include territory that is already covered by the Taipei FIR, and it would therefore be wrong to simply conclude that Beijing has been more tolerant than Taipei. China’s state-run Xinhua News Agency reported that the International Air Transport Association (IATA) confirmed on Jan. 19 that M503/W121/W122/W123 all met the technical standards specified by ICAO. However, the response still ignores the geopolitical dynamics in the area. The tragedy of MH17 teaches us that even when an aircraft was flying along an air route that met every technical standard set by ICAO, a complicated geopolitical situation and lack of communication among belligerent parties created the conditions that made the regrettable deadly incident — the shooting down of a commercial aircraft by a sufarce-to-air missile — possible. These political factors existed outside purely technical considerations; they not only delayed subsequent rescue efforts, but also prolonged the after-event investigation. As Beijing continues to send military aircraft on patrols near Taiwan, and with M503/W121/W122/W123 located near sensitive airspace, we have every reason to ask how these new routes can possibly contribute to aviation safety. In the hypothetical scenario of an aviation incident, civilian aircraft in the area could be threatened by insufficient coordination among the different ATCs involved. And after an air incident, search and rescue efforts would be hampered by rough sea conditions in the Taiwan Strait, not to mention the longstanding enmity between the two militaries. A closer examination of Enroute Chart No. 2 in the 2017 Aeronautical Information Publication (AIP) and Airport Charts of China suggests that the vast available airspace in the west of A470 could offer better radar coverage, reduce the troublesome problem of high seas rescue, avoid thorny issues of interlacing airways under different authorities, and provide more options for emergency landing. What is even more striking about this development is that there were alternatives. A close examination of Enroute Chart No. 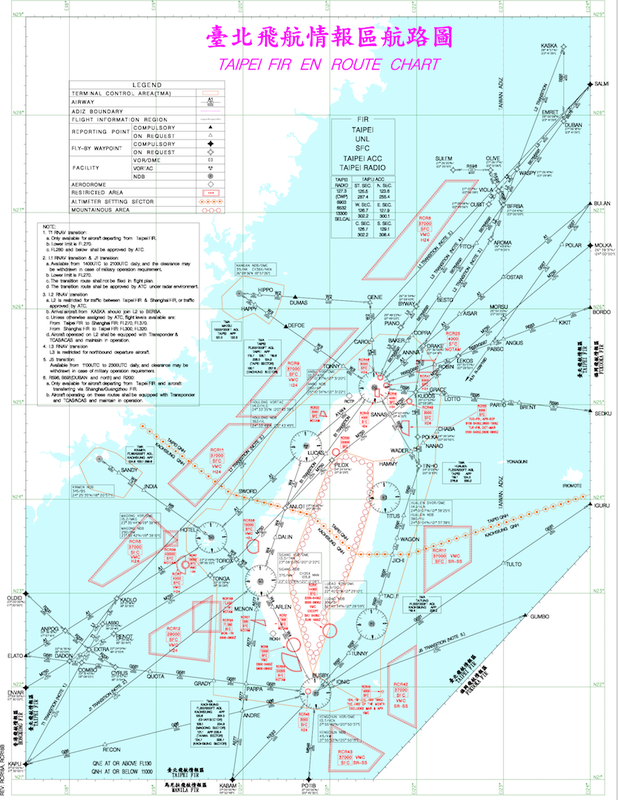 2 in the 2017 Aeronautical Information Publication (AIP) and Airport Charts of China suggests that the vast available airspace in the west of A470 could offer better radar coverage, reduce the troublesome problem of high seas rescue in case of accident, avoid thorny issues of interlacing airways under different authorities, and provide more options for emergency landing. Therefore, M503 seems to have been designed with objectives that go well beyond purely technical calculations. While Beijing’s decision in the full operation of these airways may seem to be benign, it is difficult to avoid asking why it chose to ignore those alternatives and instead decided to crowd the already complicated Taiwan Strait. When Beijing’s official mouthpiece constantly warns that China will “make the use of force [against Taiwan] a main option and carefully prepare for it,” it is not difficult for people to conclude that Beijing prioritizes suppressing Taipei over the importance of ensuring aviation safety. This event clearly highlights the problem of excluding Taiwan from participation in international organizations which have a stake in global security. Aviation safety is compromised not only due to the political tensions in the Taiwan Strait, but also due to ICAO’s failure to “work together to ensure no country is left behind,” which ironically is a claimed objective of its No Country Left Behind (NCLB) initiative. Beijing cannot ensure aviation safety on its own, as there are more stakeholders involved in the area. But without proper dialogue and accountability, those aims will never be realized, and civilians are unnecessarily put at risk. Hon-Min Yau is a Postgraduate researcher in the Department of International Politics at Aberystwyth University, UK. His research interests focus on global security and national security policy.